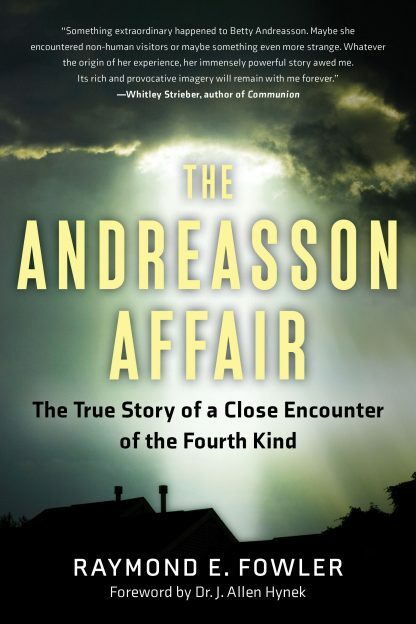 The Andreasson Affair is more than just a classic example of a close encounter. It is�to use the jargon of ufologists�a case of such �high strangeness� that even the most open-minded investigators were at first inclined to dismiss it out of hand. Yet it has become probably the best documented case of its kind to date, the subject of an intensive 12-month investigation conducted for the Center for UFO Studies (CUFOS) that involved, among other things, the recording of large quantities of testimony given under hypnosis, extensive lie detector testing of witnesses, detailed analysis of corroborative circumstantial evidence, exhaustive comparison with other such accounts, and much more. The most detailed description of any UFO abduction experience. Betty�s precise drawings of her experience. A supporting foreword to the book by astronomer Dr. J. Allen Hynek. Verification of all events associated with Betty�s experience.